Well my Blogging has taken a back seat these last few days. I spent Saturday-Monday up at Watkins Glen International Race Track as a paramedic for the NASCAR events (curious as to what I was doing? Check out this YouTube video. Tuesday was blissfully spent with my family, so I wasn’t really too interested in trecking to the Library for Internet usage. Today, I’m back at the daily grind in my windowless office, so here I am! – For each Cloth Diaper Extravaganza Contest that you entered, you may enter once here (so one entry per contest). – Leave a separate comment for each entry, telling me which contest you already entered. I will be checking to make sure that you actually did! – Include a valid email address in each entry. No email address = no winner. Unfortunately, this happens quite often. 😦 Don’t let it happen to you! This contest will also end on Friday, August 14 at 0730 hours, EST. Good luck and be blessed! I entered the Fuzzibunz Diaper Giveaway and my email is alexa.shelton@gmail.com. I entered the Whamies Review and Diaper Giveaway and my email is alexa.shelton@gmail.com. 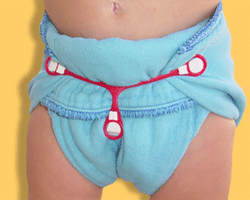 I also entered the Knickernappies Review and Diaper Giveaway and my email is alexa.shelton@gmail.com. I entered the Monkey Foot Wetbag Giveaway and my email is alexa.shelton@gmail.com. I also entered the poverty jane contest…email is alexa.shelton@gmail.com. I entered the Fuzzibunz giveaway. I entered the Whamies giveaway. I entered the Knickernappies giveaway. I entered the Monkey Foot Wetbag giveaway. I entered the Poverty.Jane giveaway. I entered the Wahmies giveaway! I entered the Fuzzy Bunz giveaway! I just entered the Monkey Bizness giveaway… I had somehow missed it! I entered the KristyLynn giveaway! I entered the Knickernappies giveaway! I entered a bunch of giveaways – Fuzzibunz was one. I entered the Whammies one. I entered the Wahmies giveaway. entered the permanent water-guard giveaway!